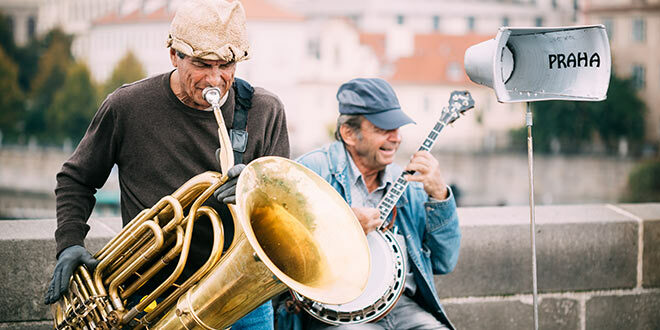 There are some excellent jazz clubs in Prague but not as hot as it may be in other major world-cities where you can listen to jazz in all its forms – from dixieland to swing. In general, a large stable of local artists will play at a variety of venues, with the odd international musician or band thrown in to keep things interesting. A good idea is to book a table, especially in summer. Live performances usually start no earlier than 9pm. Most jazz clubs charge an entrance fee of around 100 CZK, or even less. Tip: PRAGUE JAZZ BOAT – 2,5 hours boat journey in the historical centre of Prague with Live Jazz Music (three sets, two breaks with jazz band and sound master). There are always great bands playing. Tickets cost 590 CZK. Departing daily at 8.30pm. 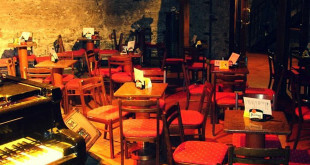 Located in gothic cellars is a very traditional jazz club. Famous guests from all over the world have played here. If Karel Růžička is playing, don’t miss his performance; he is one of the biggest Czech jazz artists. There is a 24-hour record store with a large selection of jazz recordings. Open: 6pm-12.30am; live concerts daily 9 pm. 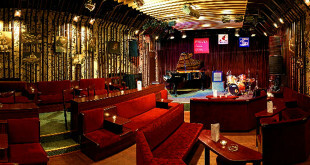 This is one of the oldest and Prague’s best-known jazz club, founded in 1958. This legendary jazz club has hosted the most prominent local jazz musicians and international performers. You will find live performances and jam sessions from traditional jazz to dixieland, jazzrock, soul, and modern jazz, expanding into R&B and rock. It gets busy as some big bands play here. As a curiosity we could mention that the former Czech president Václav Havel has brought Bill Clinton here twice and he played his sax. Club attracts a touristy crowd, but also some decent acts. This is a tiny club in the 15th-century cellar of a Renaissance building. You will find a mix of blues, funk and jazz supplied by top Czech performers. There are live shows every night. It is located in the heart of Prague just 110 steps from Old Town Square. Concerts are staged seven days a week with top national performers and special guests. Although there is only a tiny stage it is worth it for its eletric mix of Latin jazz, be-bop and blues. This Irish-pub-style club hosts a wide spectrum of local bands playing jazz and blues. Admission: Mon, Tue and Thu 120 CZK; Wed, Fri and Sat 150 CZK; Sun 70 CZK. A mix of blues, jazz and deep funk is played here. Open: 6pm-2am; live concerts at 9pm. Detailed information on the jazz concerts can be found in monthly-published booklets such as the brochure called “Co, kdy v Praze” (What and When in Prague), “Přehled kulturních pořadů” (Bulletin of Cultural Events) or “Kultura v Praze” (Culture in Prague).